Little Giraffe of Van Nuys, Calif., is recalling about 2,000 Luxe Satin children’s robes. 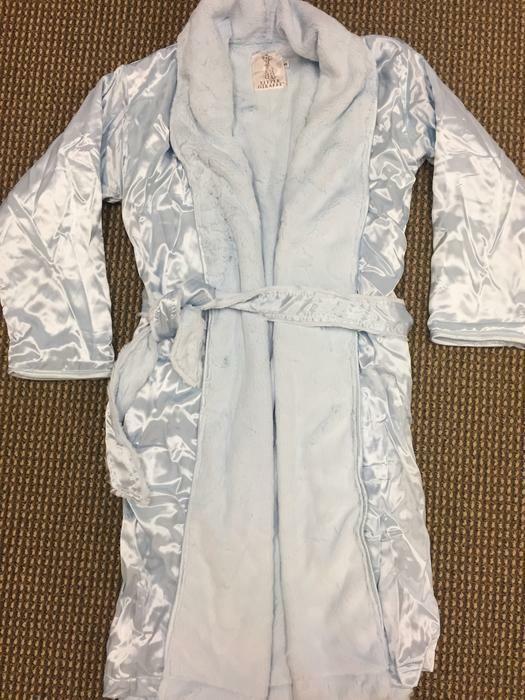 This recall involves Luxe Satin children’s long-sleeve robes. The robes are 43% acetate with 57% rayon, satin outer shell and a 100% polyester microfiber inside. They were sold in pink, blue and cream in sizes 1 (XS-S/4-6 years), 2 (MD-LG/6-8 years) and 3 (XL-XXL/8-10 years). The robes have two belt loops on each side and an unattached belt. Lot number “21706-DFR001” and “Not Intended for Sleepwear” are printed on the robes inside seam label. The robes, manufactured in China, were sold at children’s specialty stores nationwide and online at www.littlegiraffe.com from November 2012, through March 2017, for about $100. Consumers should immediately take the recalled robes away from children and contact Little Giraffe for a full refund. Consumers may contact Little Giraffe toll-free at 866-201-6613 from 10 a.m. to 4 p.m. (PT) Monday through Friday or online at www.littlegiraffe.com and click on “Product Recall” at the bottom of the page for more information.